You are going to Watch Cardfight!! Vanguard G Episode 41 English subbed online free episodes with HQ / high quality. Stream Anime Cardfight!! 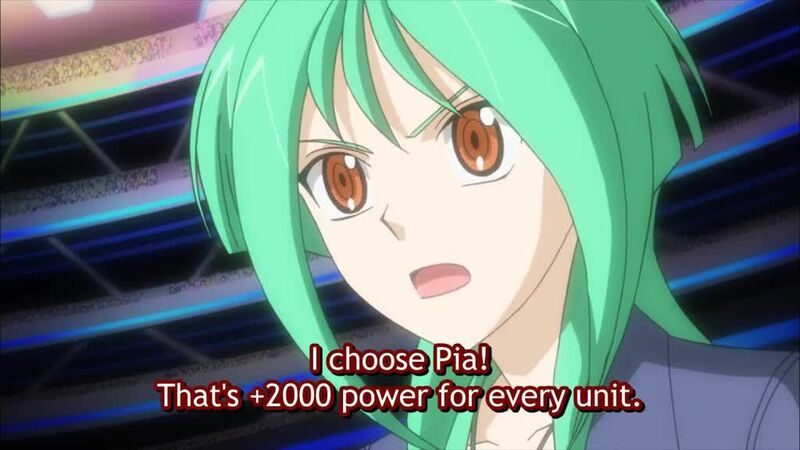 Vanguard G Episode 41 Online English sub Tokoha vs. Rin. Following Taiyou being revealed to be the newest member of Team Demise, the first game of the special match between TRY3 and Demise begins with Tokoha facing off against Rin. Like the last time they fought, Rin tries to taunt and irritate Tokoha. However, Tokoha instead remains calm and has fun with the battle, which infuriates Rin. After realizing how much Rin is stuck up on Mamoru, Tokoha wins the fight with her new G unit Dream-weaving Ranunculus, Ahsha. Soon afterwards, a disgusted Rin quits her team, and the special match moves on to the next game, which will be between Shion and Shouma.